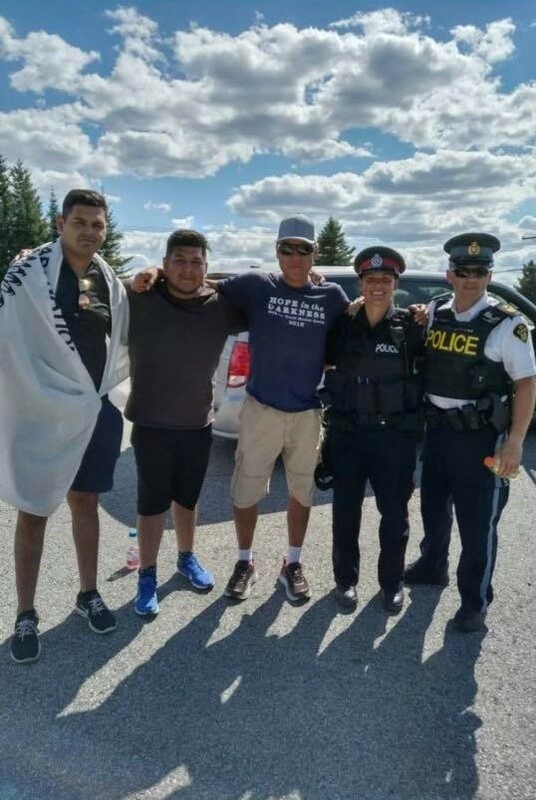 On Monday July 16, 2018, Will Landon of the Treaty #3 Obishkiniigiig Youth Council joined Chief Erwin Redsky, and Treaty #3 citizens to welcome Kevin Redsky home to Treaty #3 territory. 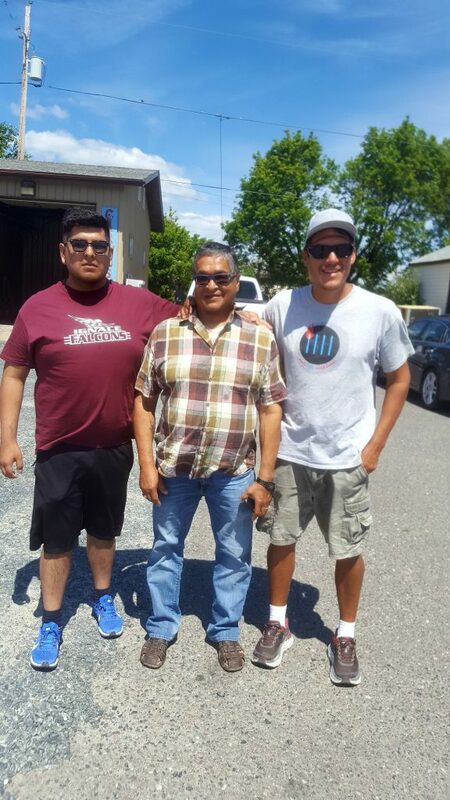 Kevin has been walking across Canada to raise awareness and support for Youth Mental Health. 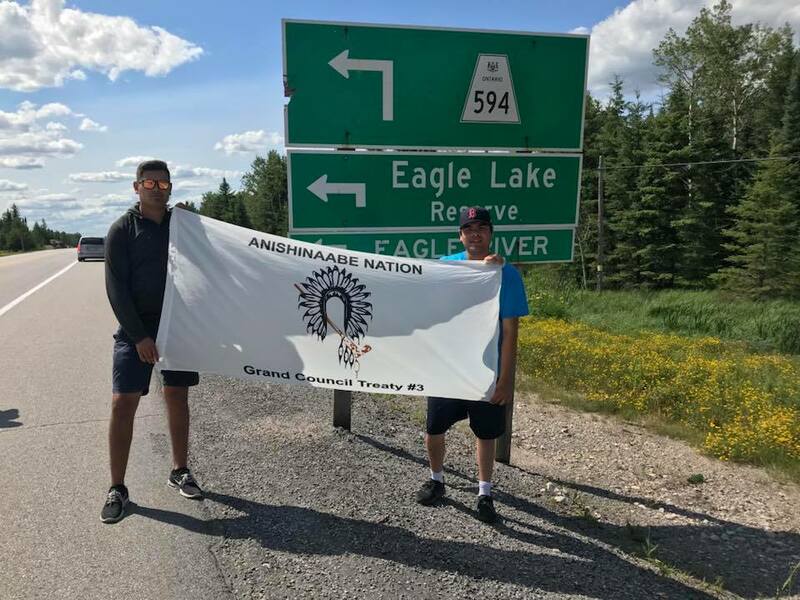 Will joined Kevin as he walked through Treaty #3 towards Kenora, Ontario. Kevin had a warm reception and was greeted by a welcoming song, a smudge, and some words of encouragement. Kevin, Chief Redsky, Will, Billy Wahpay, and youth Ainsley Redsky started the first leg of the walk-through Treaty #3. Kevin has already walked close to 4,000kms from Cape Spear, St. John’s, Newfoundland to just outside of Ignace, Ontario. His final destination is Winnipeg, Manitoba. The Hope in the Darkness National Walk for Youth Mental Health is a cross-country walk for youth mental health led by youth and police officers from across the country which started on April 1, 2018. The walk will provide police officers and youth with the opportunity to take a stand on youth mental health and the supports that are needed nationally.